Gestimer is a beautiful menu-bar app for those little reminders during the day. Simply drag the Gestimer menu bar icon onto the screen to create your reminder. Do you constantly check the time while using your Mac because you don’t want to forget to leave the house in 10 minutes, to pick up the kids at 4 P.M., or to turn off the stove in 3 minutes? 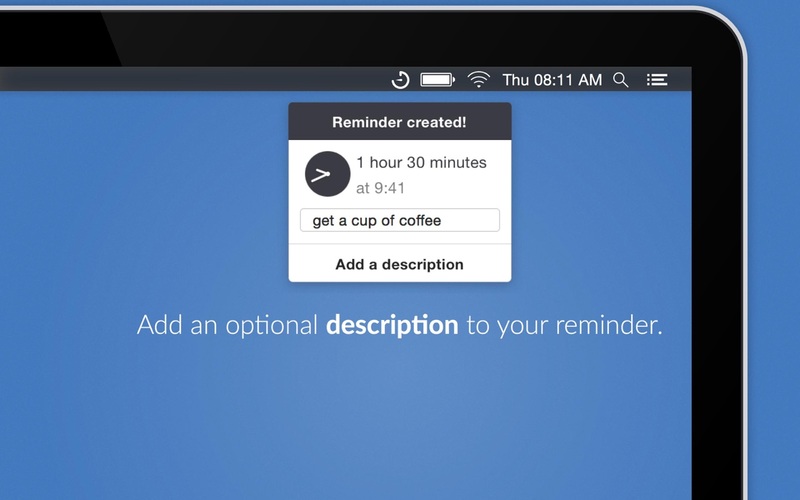 With Gestimer you can create such short-term reminders quickly and easily. Next story OmniFocus 3.2 – GTD task manager with iOS companion app. Previous story Nisus Writer Pro 3.0.1 – Multilingual word processor with indexing.